The production this year is A Midsummer Night’s Dream. It will run from the 27th of June to the 7th July 2012. For more details read the blog or, even better, who not book tickets? The Kent Shakespeare Company Ltd is a limited (not-for-profit) company that performs plays by Shakespeare in the county of Kent. We don’t believe in obscure company names. 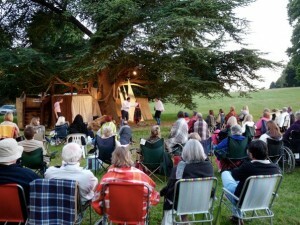 We do, though, believe in putting on high quality productions that keep our audiences coming back year after year, and we’re proud to be continuing the tradition of open-air shakespeare at Mount Ephraim, near Faversham, in Kent. You will need to bring your own seats to the performance. Do look around the site, we’ll be updating it regularly with news and photos, but most importantly… BUY TICKETS! Photos below will update automatically from our flickr feed as rehearsals progress. Neat-o!